Don Travis: Who is Burleigh J. (BJ) Vinson? When I write a novel, I constantly struggle to avoid “over describing” my major characters. This is to allow readers to paint a mind picture of these individuals for themselves. Apparently, I succeeded with BJ. 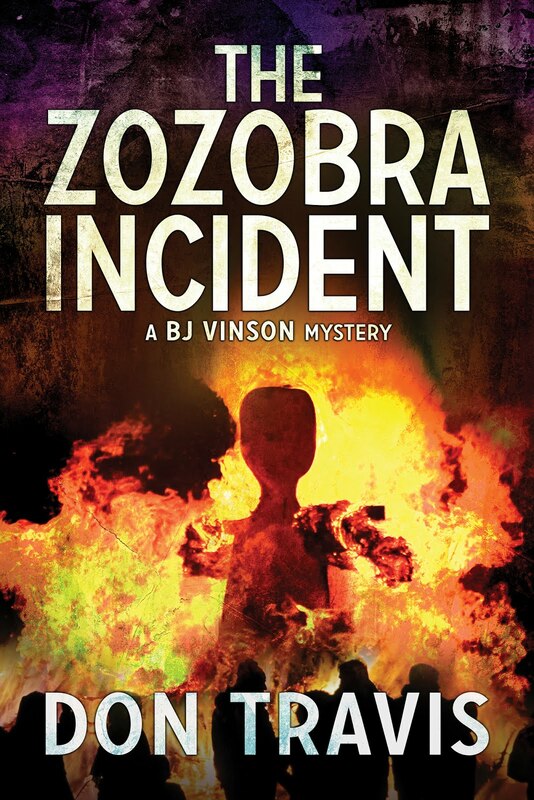 When Robert Brown of Martin-Brown Publishers and Ampichellis Ebooks and I were trying to settle on a book cover for The Zozobra Incident, his business partner and wife, Sharene, proposed a dramatic cover of the head and torso of a bearded young man surrounded by flames. 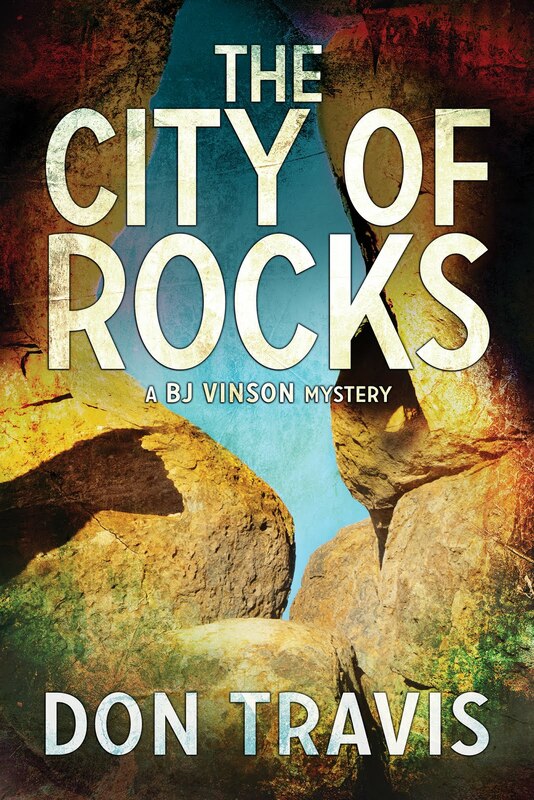 The cover art held a great attraction for me, but I couldn’t accept it because BJ is clean-shaven. In fact, none of the book’s characters who might be displayed in the cover art had facial hair. When I expressed this objection, I remember quite clearly that Robert said, “He could have. You haven’t given us a clue as to whether or not BJ is bearded.” So I was successful in my goal of allowing the reader to for his or her own image. Please feel free to picture the Albuquerque PI as bearded, if you wish. Actually, I have a very firm idea of how he looks, acts, thinks, and feels. I know who he is because I created him. I know, for example, Burleigh was a family name (his mother’s father’s name, as a matter of fact), and that J. was a MIO…middle initial only. He was born September 12, 1972, and was 36 at the time The Zozobra Incident takes place in 2006. His parents, Robert and Frances Vinson, were both educators. They raised him with a steady, firm hand and always sought to guide rather than impose. His father was a very strong influence in his life and probably knew BJ was gay before he did. Robert was always supportive and encouraged him to play football in high school and even backed his son’s decision to join the Marines. In later years, BJ understood this was not an attempt to “convert” him, but was rather to provide as normal a background as possible to give BJ as rock-solid basis for deciding who he was and who he was going to be. BJ came to grips with the fact he was gay slowly, finally accepting his sexual orientation in his late teens. Since he had a strong, supportive father and a nourishing, yet not dominating, mother in his life, he came to the conclusion his homosexuality was “hard-wired.” Thereafter, he accepted who he was without obsessing over it. He neither hid nor flaunted his sexuality. As a result, he moved easily through all spectrums of Albuquerque society. The senior Vinsons died on January 2, 2003 in a car accident on Interstate 40, leaving their only son and heir an estate of $12,000,000. Some years earlier, they had loaned a struggling local business a modest amount of operating capital. That business later moved to Seattle and became Microsoft. By the time of their deaths, BJ had a degree in Criminology from UNM and was a detective with the Albuquerque Police Department. A little over a year later, he was shot in the thigh while he and his partner, Gene Enriquez, attempted to apprehend a murder suspect. That occasioned both the breakup between BJ and his lover, Del Dahlman, a local attorney, and his medical retirement from APD. Even though he was independently wealthy, he continued to live in the home his father built at 5228 Post Oak Drive NW in Albuquerque’s North Valley. The residence was located in a ’50’s middle class neighborhood, which is growing a bit geriatric by now. The home, a contemporary red brick, white trimmed, cross-gabled structure with stone foundations, had a basement—something unusual for Albuquerque at the time. BJ was incapable of sitting around and living on his inheritance, so on September 18, 2005, he opened B. J. Vinson, Confidential Investigations. Referrals from his many cop friends help turn the business profitable. He hired his mother’s best friend, a retired public school teacher named Hazel Harris, as secretary and office manager. What he got was a surrogate mother, whom he suffered fondly. Eleven months after opening his office doors on the third floor of a historic building across the street from the Albuquerque Library’s main facility, Del Dahlman came to ask his help. He was being blackmailed. Against his better judgment, he accepted his former lover’s request and thus The Zozobra Incident began. 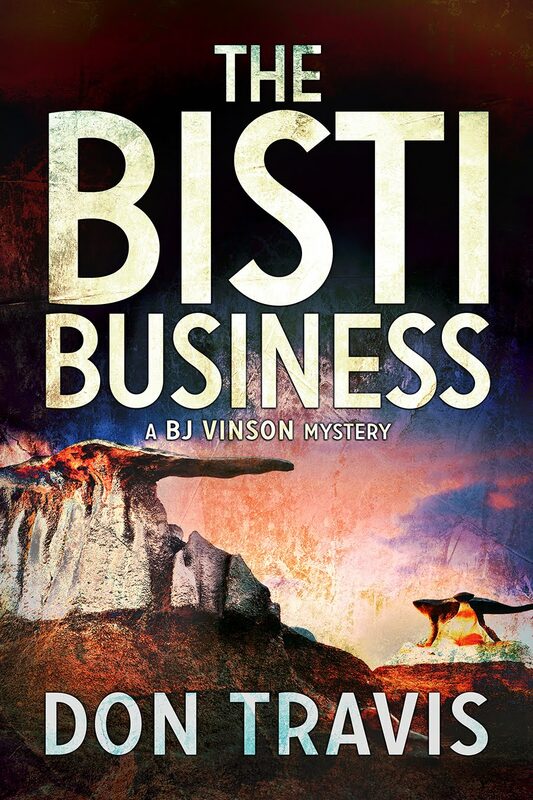 We will meet BJ again in the upcoming Bisti Business and The City of Rocks. Next week: Still to be determined.